As an Auckland mortgage broker we have some busy days, some frustrating days and some wonderful days. Last Friday was one of those wonderful days when we were able to make Leeanne’s dreams come true! I was introduced to Leeanne from one of her good friends who we had helped out by arranging finance some time ago. Getting referrals like this is an advantage that I have due to the 20+ years I have been an Auckland mortgage broker and therefore the number of people that I have arranged finance for or spoken to. Leeanne has had a hard few years with her husband being very ill and eventually passing away, and while this was going on her business went downhill and this resulted in some bad credit. To her credit, Leeanne had paid off the debts left after the business failed and got into a very good job that pays well. She also has managed to save a good deposit in both her KiwiSaver and bank savings. A few weeks ago Leeanne had seen a property in Ahipara just down the road from her mothers. She went and had a look at it with her adult daughter and they loved it. Like most Kiwi’s do, Leeanne contacted her bank about getting a mortgage to buy the house and was told NO. Luckily she vented her frustration with her friend (my client), and that is when I got involved. 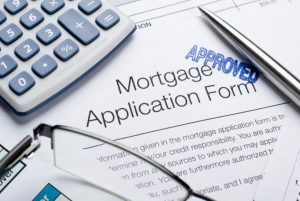 As an experienced Auckland mortgage broker I have done a lot of mortgages for people when the banks say NO and while I would prefer that people came and spoke to me first, this is not always the Kiwi way … but it is changing. As soon as I met with Leeanne, heard her story and asked a few questions it was obvious why the bank would say NO to her. As mentioned, she had some bad credit and that stopped her getting the mortgage, but also she did not explain to the bank why she wanted to buy a house in Ahipara when she lives in Auckland, so they assumed wrongly that she was buying a rental property and given the Reserve Bank restrictions on deposits she fell short on that too. As one of the most experienced Auckland mortgage brokers through asking the right questions I could quickly identify the issues that the bank would have and figured out a way to resolve those issues. This was one of those situations where banks treat this as a bad credit home loan and therefore would decline it; however we have access to non-bank lenders that can provide the approval that we required. The credit issues were from a one-off event and so it will not be too long and we can refinance the mortgage back to a bank which is the better long-term option. Sometimes it’s easy to be a bit blasé about what we do as mortgage brokers – about how we can change people’s lives. When I got the loan approved for Leeanne I could not get hold of her so I texted a message and emailed her the approval. She then left a message for me “I can’t believe it – oh thank you so much – I didn’t think I was going to get the money – this is totally awesome – you’ve made my day – I got your text and didn’t know what to do I was jumping up and down and crying and laughing at the same time – my cousin thought I was nuts – oh thank you so much – fantastic news”. Wow … she was a happy lady! We know that there are a lot of people that give up on their dreams because someone at the bank says NO when if they had contacted one of the more experienced Auckland mortgage brokers like myself (Stuart Wills) then they could get better advice and a good chance of having a home loan approved. The post Auckland Mortgage Brokers Make Dreams Come True appeared first on The Mortgage Supply Company.